Julian Emmanuel Golding (born 17 February 1975 in London) is an English sprinter. He is one of Britain's fastest ever sprinters over 200 metres. His time of 20.18 seconds (-0.2) ranks him 6th on the All-Time UK rankings, with only John Regis, Christian Malcolm, Linford Christie, Darren Campbell and Adam Gemili ahead of him. Golding was born in Harlesden, North West London. 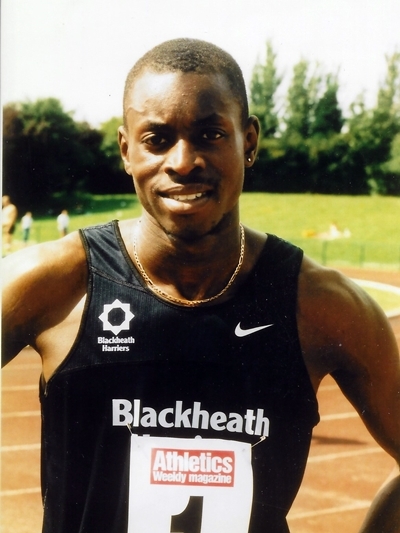 Attending St Augustine's Church of England High School in Kilburn, he enjoyed playing all sports before taking up athletics seriously in 1991. He was discovered by former Olympic sprinter Mike McFarlane, after finishing second at the Westminster Schools Athletics Competition. 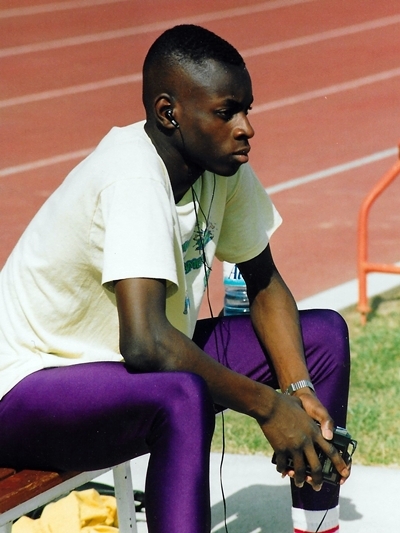 At the 1998 European Athletics Championships, Golding was favourite to win the gold medal in the 200 metres. After running a series of fast times and winning both heats and semi-finals convincingly, he was en route to win his first major senior title. In the 200 metre final, however, he was beaten by teammate Dougie Walker, and took home the bronze medal instead. In the same year, at the Kuala Lumpur Commonwealth Games, he floated to a personal best time of 20.34 seconds in the 200m semi-finals, and went on to win the gold medal. 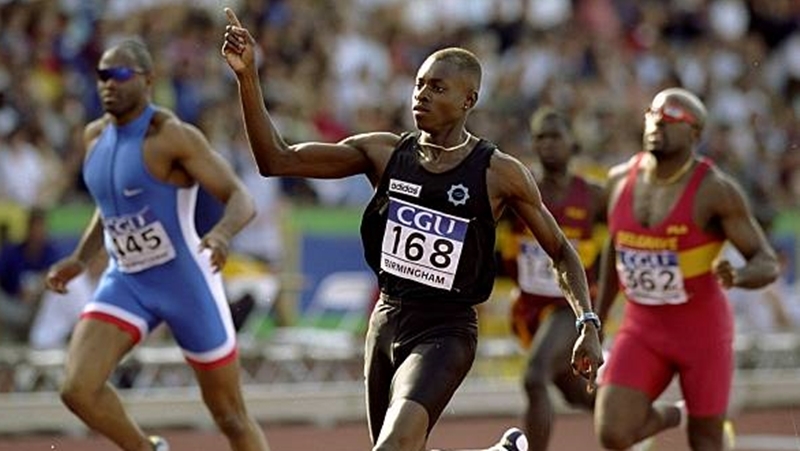 In the 4 x 100 metres sprint relay, Golding helped England win their second gold medal, setting a time of 38.20 seconds, a Commonwealth Games record that still stands today. 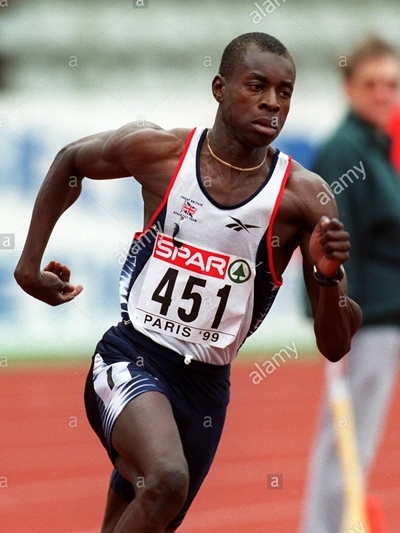 He also helped the Great British 4 x 100 metre relay team to victory in the 1998 IAAF World Cup and European Cup, as well as running the last leg at the 1997 World Championships in Athens, in which Britain won bronze. 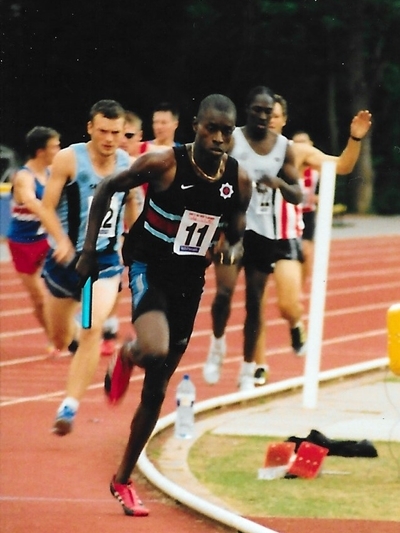 During the 1999 athletic season, Golding won the national title in 20.20 seconds (wind assisted) and continued that form, winning some high profiled international Grand Prix events. The Crystal Grand Prix is considered to be one of Golding's best performances; he won the 200 metres from a world class field in the time of 20.23 seconds, running into a strong headwind of -1.1 metres per second. Without this headwind, he might have been the second British sprinter to run under the 20 second barrier, which is considered to be the mark of true international class (John Regis holds the UK record at 19.87 seconds). Golding went on to finish 7th in the final of the 1999 World Championships in Seville, and finished the year ranked number 9 in the world. He was part of Team GB's 4 x 100 metre relay team at the 2000 Summer Olympics in Sydney, but the team were disqualified in the first round. He failed to qualify for his preferred event, due to illness at the Olympic Trials. Golding's last major competition was in 2003, where he represented Great Britain at the Paris World Championships. Three years later, he was forced to retire prematurely, due to persistent injuries. Golding is also an accomplished pianist and enjoys playing golf and tennis. 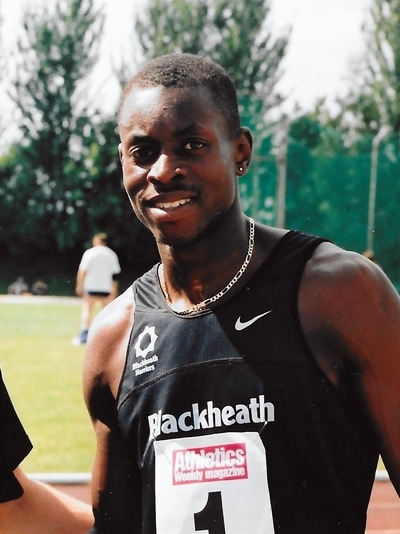 On 18 July 2012, Golding graduated from Middlesex University with first class honours for Sports and Exercise Science with Teaching & Coaching. He now hopes to pursue a career as a teacher of physical education.